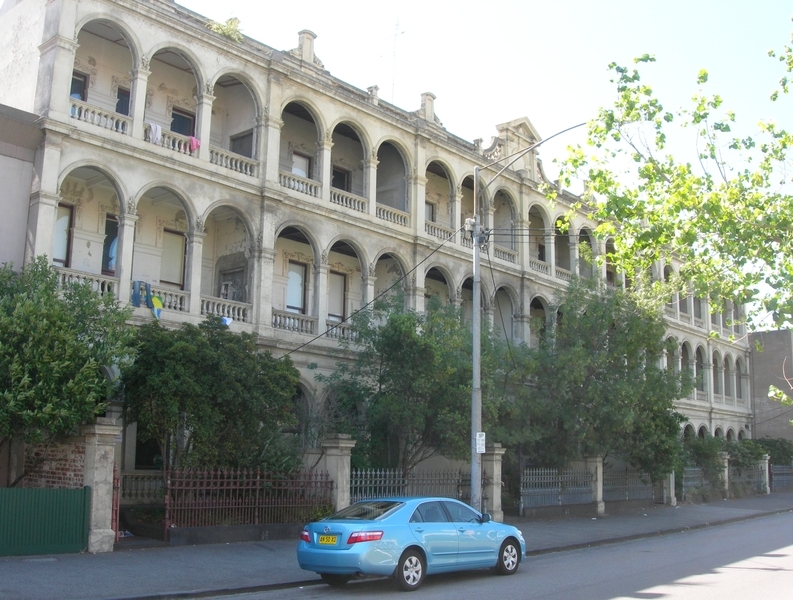 The terrace of seven houses at 93-105 Drummond Street was erected in 1890-91 by the owner and architect Walter Scott Law. Law did not occupy any part of the terrace but built it as a speculative venture. 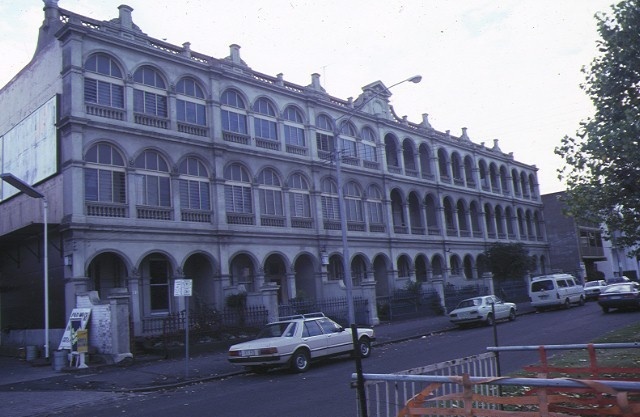 Drummond Terrace was designed in the so-called boom-Classical style. The three storey rendered brick structure with bay windows on the ground floor has a three tiered arcade along the street facade. The upper two storeys of the arcade are balustraded. The capitals of the arcade piers are decorated with moulded foliated anthemions from which spring the arches of the arcade. The terrace is symmetrically arranged as seven bays with a system of arcuation and trabeation repeated on all three storeys. The parapet has linked chain balustrading and a large pedimented name plate over the central bay. Six subsidiary finials crown each of the remaining bays. Stepped walls divide the small front garden of each bay. The bays windows have curved glass sidelights. There are leadlight sidelights and fanlights to the entrance doors. At the rear of the terrace each bay has a three storey service wing. 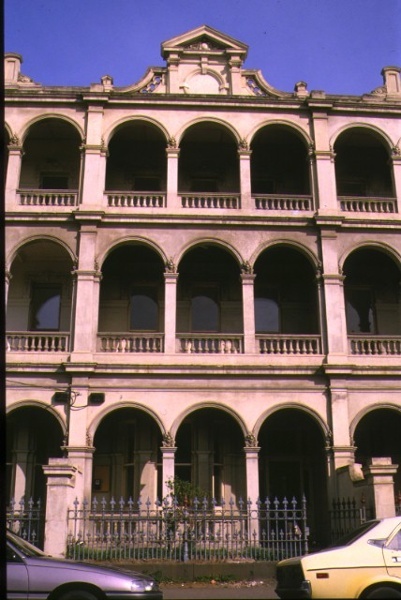 Drummond Terrace is of architectural significance to the State of Victoria. Drummond Terrace is architecturally significant as one of the longest and grandest three storey terraces in Melbourne. 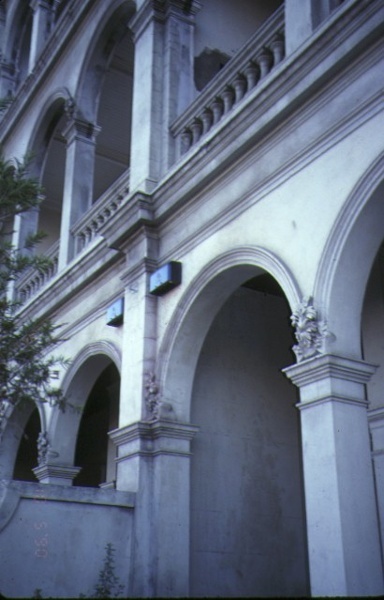 The repetitive arcading is an unusually austere but highly distinctive example of the so-called boom-Classical style. Unusually for terraces of this period there is no decorative cast iron. Contributing to the boom classicism of the terrace is the elaborate and unusual chain link parapet, the curved glass side lights to the bay windows and the foliated anthemions at the top of the piers. The three storey rear wings are highly unusual for Melbourne terraces. 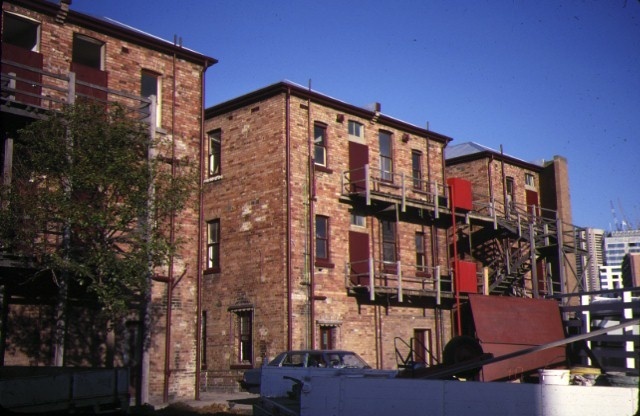 The terrace at 93-105 Drummond Street is a prominent feature of the Drummond Street precinct and as a three storey terrace represents a highly unusual example of its type in Melbourne. It is one of the grandest examples of the work of the architect WS Law, who also designed the house known as Benvenuta at 48 Drummond Street. Drummond Terrace, 93-105 Drummond Street, Carlton. 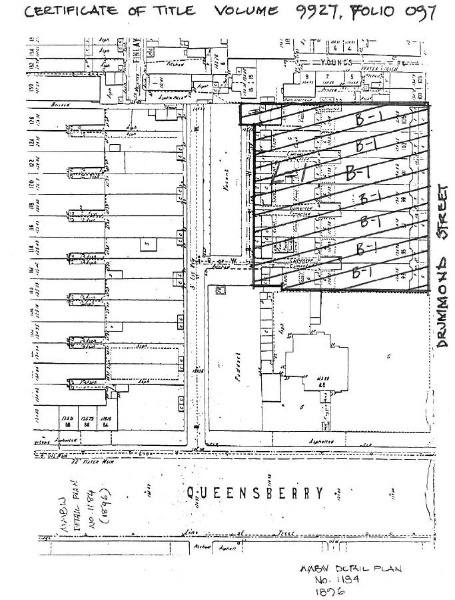 2. that part of the land extending to the boundary of the minor right of way shown on the 1896 MMBW plan, and marked L-1 on Plan No. 6030604, being part of that land described in the Register Book Certificate of Title Volume 9927 Folio 097. The terrace was let to tenants from 1890 but none of the early tenants were particularly notable. From 1920 to the late 1930s numbers 93 and 95 were a Church of England hostel for university women. These appears to have been a pioneering effort to provide residence to women entering university education. After the Second World War numbers 93 to 97 were listed as an Education Department Hostel, seemingly continuing the use of the terrace as student accomodation.